Defeat cancer through the power of play. Everyone has something they love to do – whether it is play sports, a musical instrument, or scrabble; take a yoga class or create a mobile app. 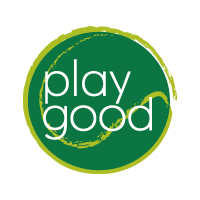 playgood is a volunteer-run, grass-roots charity “movement” that empowers people by providing them with a “platform” to do good in the ongoing fight against cancer while pursuing and sharing their passion for play. Our initial focus was on playing tennis together, but longer term we will also play outside the lines of the tennis court. Fun – When we are doing what we love to do, do it with others, and feel good in the process, we have a blast and spread joy! Community – We create social connections that start at the local level and grow through regional, national and international events; we inspire others by example. Knowledge – We are not only improving our “game”, but also learning about ongoing efforts against cancer. Easy – It’s simple to get involved – either by participating in an organized Playgood event, or by planning one yourself and getting others to share in the experience. All of money raised goes to support cancer research at Memorial Sloan-Kettering Cancer Center in New York City.